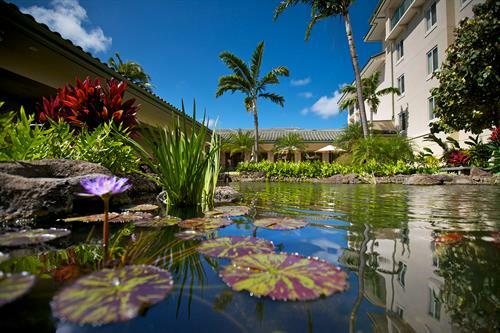 Kahala Nui is a gracious senior retirement community in Hawaii. Accredited by the Better Business Bureau with an A+ rating; Kahala Nui offers Residents the best senior care while continuing to outreach and serve the community of Honolulu. Fostering the island tradition of 'ohana, Kahala Nui is Hawaii's premier continuing care retirement community (CCRC). A socially responsible, 501 (c)(3) organization, Kahala Nui is owned by Kahala Senior Living Community, Inc. (KSLC), a not-for-profit corporation led by a voluntary board of directors who receive no remuneration for their services. Throughout the years, Kahala Nui has maintained its commitment to quality of life by continually integrating technologies that allow for industry-leading care, providing opportunities for continued education for resident care, and applying independent surveys on an annual basis that measure resident and associate satisfaction.